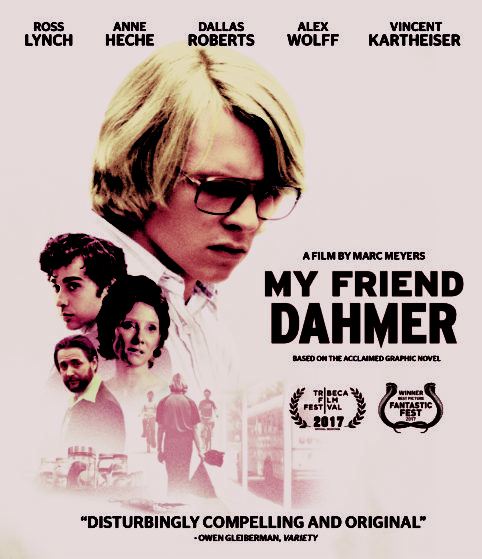 MY FRIEND DAHMER COMING TO BLU-RAY AND DVD ON APRIL 10TH FROM FILMRISE! 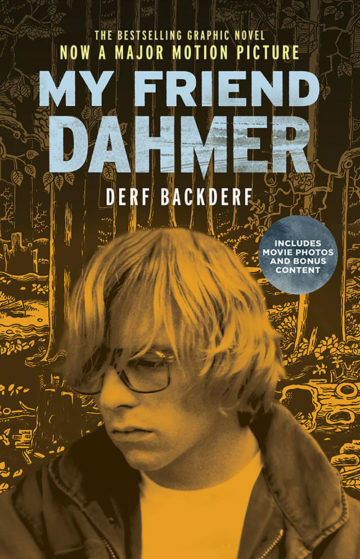 My Friend Dahmer is based on the acclaimed graphic novel about one of the most notorious serial killers ever. Its screenplay landed a spot on the coveted ‘Black List’, ranking it as one of the best un-produced screenplays (at the time) before becoming a hit movie. 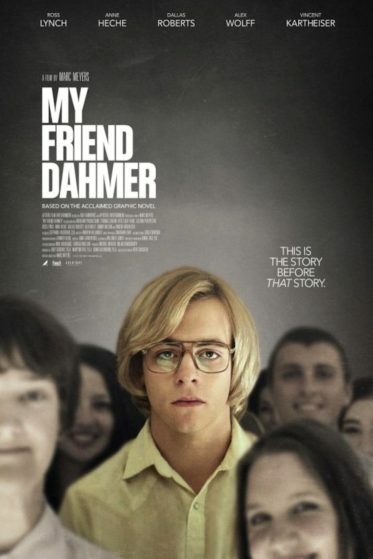 My Friend Dahmer had a theatrical release in 2017 and has grossed over $1,300,000. It played extensively on the festival circuit, premiering at the Tribeca Film Festival and going on to play at LA Film Festival, Deauville Film Festival, American Film Festival, and many others. The film features an all-star cast that includes Emmy Nominee Anne Heche (Donnie Brasco), SAG Award winner Vincent Kartheiser (Mad Men), Former Disney star Ross Lynch (Austin & Ally), Alex Wolff (Patriot’s Day) and Dallas Roberts (3:10 To Yuma). 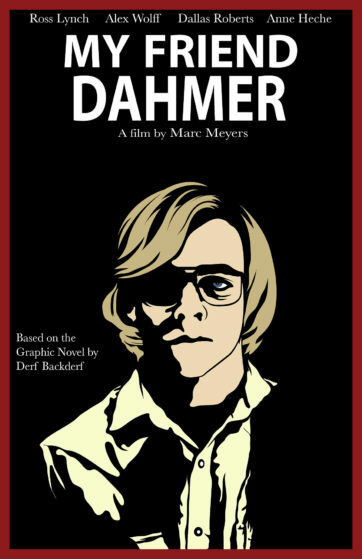 Jeff Dahmer (Lynch) is an awkward teenager struggling to make it through high school with a family life in ruins. He collects roadkill, fixates on a neighborhood jogger (Kartheiser), and copes with his unstable mother (Heche) and well intentioned father (Roberts). He begins to act out at school, and his goofball antics win over a group of band-nerds who form The Dahmer Fan Club, headed by Derf Backderf (Wolff). But this camaraderie can’t mask his growing depravity. Approaching graduation, Jeff spirals further out of control, inching ever closer to madness. Rotten Tomatoes CERTIFIED FRESH! Critics Loved ‘My Friend Dahmer! 2017-2018 Theatrical Release! Over $1,300,000 box office! Festival Hit! Tribeca Film Festival. L.A. Film Festival, Deauville Film Festival, American Film Festival and more! My Friend Dahmer’ screenplay landed a spot on the coveted ‘Black List’, ranking it as one of the best unproduced screenplays (at the time) before becoming a hit movie. Features an all-star cast that includes Emmy Nominee Anne Heche (Donnie Brasco), SAG Award winner Vincent Kartheiser (AMC’s “Mad Men”), Former Disney star Ross Lynch (“Austin & Ally”), Alex Wolff (Patriot’s Day) and Dallas Roberts (3:10 To Yuma).